Europe roared back in the alternate-shot foursomes format as Justin Rose and Henrik Stenson secured their second point with a two-up victory over Hunter Mahan and Zach Johnson. Britain's Rose sank a 15-foot bogey putt at the final regulation hole before parring it a few minutes later to edge unheralded American Shawn Stefani in Bethesda. "I'm in great position," Reed told CBS television, adding that he needed to 'tighten up' a few aspects of his game before the final round. 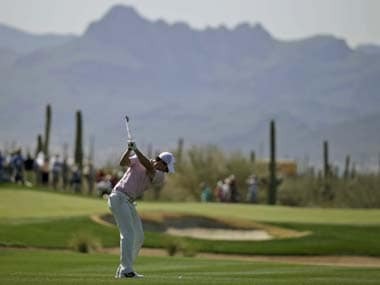 Jacklin, who clinched the 1970 U.S. Open at Hazeltine, applauded Rose's strength of character and ice-cool finish, and has marked him out as one of the favourites for the July 18-21 British Open at Muirfield in Scotland. 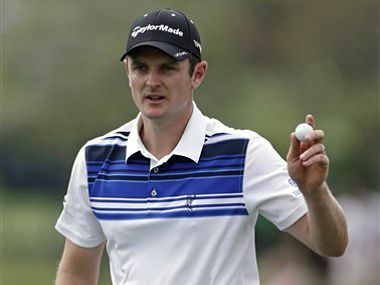 It crowned a worthy champion in Justin Rose, slid a banana peel beneath Phil Mickelson and sent Tiger Woods packing with his tail tucked between his legs. 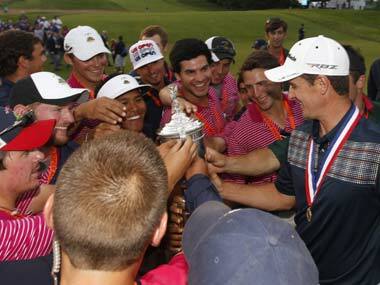 After the touching salute to his father, the teary victory call to his mother back in England and the kiss of the silver trophy, Justin Rose treasured the validation of winning the U.S. Open for his first major championship. A par on the 18th hole gave Rose an even-par 70, and that was good enough to become the first Englishman in 43 years to win America's national championship. Four back of overnight leaders Justin Rose and Bill Haas when the day began, Woods walked off the course to thundering cheers and in full command. 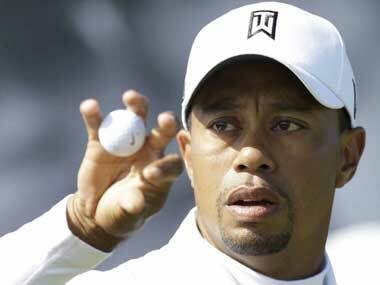 Tiger Woods's bid for an eighth Bay Hill triumph took a hit when he bogeyed the final three holes.